Donald Macleod focuses on Schoenberg's changes of personal faith and his predilection for superstition. Including Early Songs, Fried auf Erden, Kol Nidre, A Survivor from Warsaw. 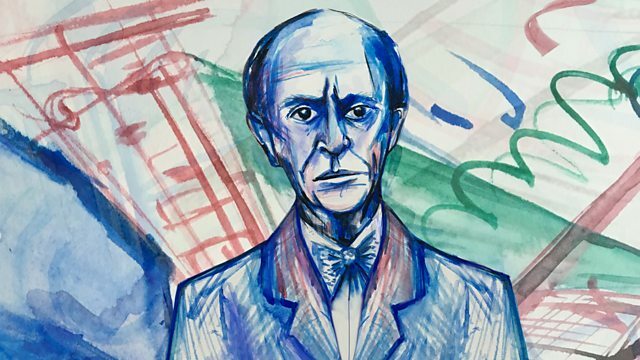 Donald Macleod explores Schoenberg's life from five different viewpoints. Part of Radio 3's season: Breaking Free - the minds that changed music. Today, the composer's changes of personal faith, and his predilection for superstition. Schoenberg was sincere about faith and belief throughout his life, though not always with consistency. Superstition governed his daily life, in particular a horror of the number thirteen, whilst in religion he first converted from Judaism to Protestantism and later back again, not least because of the impact of the persecution of Jews. Towards the end of his life, he wrote several Jewish works celebrating the establishment of the state of Israel. Performer: Urs Liska. Singer: Claudia Barainsky. Choir: BBC Singers. Conductor: Pierre Boulez. Singer: David Wilson‐Johnson. Choir: Simon Joly Chorale. Orchestra: Philharmonia Orchestra. Conductor: Robert Craft. Narrator: Simon Callow. Orchestra: London Symphony Orchestra. Choir: London Voices. Conductor: Robert Craft. Choir: South German Radio Chorus. Conductor: Rubert Huber. ARTE NOVA : 74321-27799 2.